1. 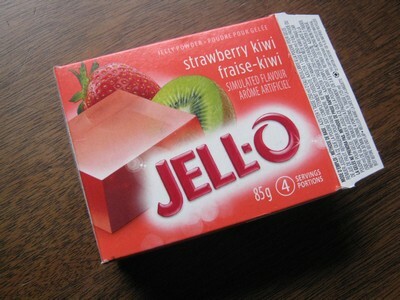 Open a box of Jello. 2. Wet index (or other) finger. 3. Stick finger into Jello powder. 4. Stick finger into mouth. 5. Presto. Instant Lik-M-Aid—and just like that I’m back to pre celsius temps—something in the low 80’s with a gentle breeze—decked out in baggy yellow shorts and a striped tank top, a bandaid on my knee, another on my elbow, reading Richie Rich on the porch or riding my sister’s green two-wheeler hand-me-down that was so big I had to choose: pedal or sit. Impossible to do both at the same time. 6. Take your fingers out of the Jello powder—you’re a grown up, for heaven’s sake! It’s winter. Get over it. Boil water. Make Jello. Eat it in the bathtub. But the Fun Dip dipping stick is delicious (or at least I thought so 20 years ago)!